A very useful product for your desk. Expands as per space. With three adjustable compartments, this product can sit on any busy desk and is an ideal pen holder or stationery holder. 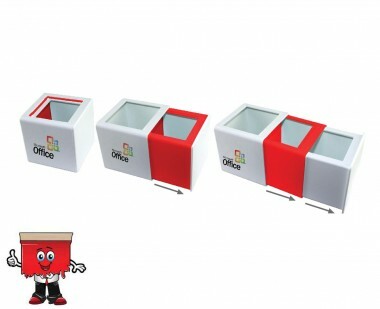 Available in a combination of white+red+white, branding is possible from 1 colors to full colors on it.